The point to this post is that through the internet, I have been able to avoid working with women who just want to tone, and men who just want to get “swoll” for the purpose of getting laid. However, so many of my basic skills were developed back in the day while training these people (in person) who are much less like me, than my current clientele. This phase of my career played a major role in my being able to do my job right today. Even back then, all my clients needed me to guide them through the process of stressing their system in appropriate dosages in order to get the adaptations they wanted. I am using the same fundamental principles today. To be honest, back then I didn’t have the skill set to leave someone sans body fat in the safest way possible, or to push someone’s Wilks coefficient well over 400 in the safest way possible. However, I only took on what I was able to, much like I still do today. If I don’t have the skills, I won’t use their money to pay my bills. 1. Only do work you are qualified to do. Be honest with yourself as to what this is since your best work will be done in a sector that you have the most tools for. 2. Just like in the weight room, the best growth is sustainable growth. Work hard to blowup, but not so fast that your demand supersedes your actual skills. 3. Learn to give a damn. This whole blog post could have been left at that. However, this is the most important skill or trait worth acquiring in my opinion. 4. Learn to work with a wide variety of people, and if you can, try to get some in person time. I can’t stress the development of soft skills enough. The truth is, if you are currently training people online you are not going to go get a gig at a gym, which is where you would have to learn to develop these people skills. I don’t blame you, but know that if you have only trained people online, this will be a something you will have to work extra hard on acquiring. One simple solution to this which can perhaps help you “beef up” this often-forgotten personal trainer (yes this is what you are) skill, is to simply ask your people for more information. Get more than just spreadsheets and picture updates when your people send you their regular check-ins. Make an effort to get to know your athlete over the time you guys spend working together. Insist on video reports and reply in that format as well. Ask them questions about themselves outside of the job at hand and let them ask you questions. You know, the small talk you would likely have in-between sets if you were training people in person. If you do so, over time you will find yourself more invested in your people because they become actual people. Also, you will become more of a person to them as well, and boom…people skills acquired. Your ability to work with many different types of personalities will increase, and then the skillset you have to get people to their goals will really flourish. Look, I apologize for being sidetracked this week. 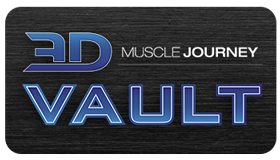 Those who were paying attention know I was supposed to give you guys the second installment of my BFR blog post. However, this week I just started a new batch of athletes and they all told me similar things. Specifically, that prior to coming to me, they felt like they were dealing with an automated service, and while some of the previous coaches they worked with had the skills to help them reach their goals…. they often were lacking in the soft skill department. I am a firm believe that the average coach/trainer of modern times knows more than the personal trainer of the brick and mortar days. With Eric Helms popping up everywhere, how could they not? The main point to this message is to simply encourage you to continue building skills that no software, no matter how robust the algorithm, will ever be able to duplicate.